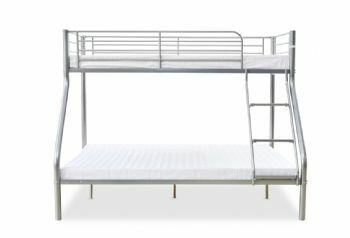 The Palmdale Bunk Bed Frame is a great space saving bed for both younger and older children comprising of a spacious UK Double sized bottom bunk and a standard UK Single sized top bunk. 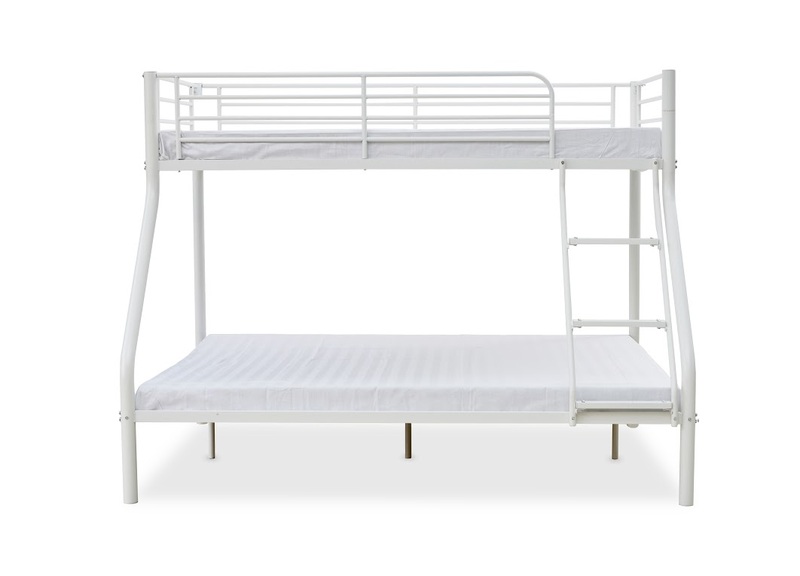 The bed bases are made from a firm, durable mesh that will withstand even the most vigorous treatment from your kids. 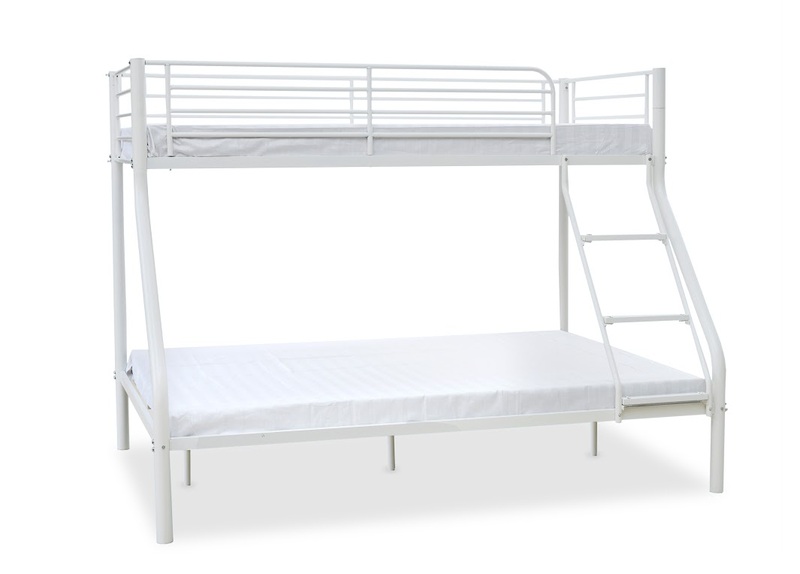 It is also available in either a silver or white finish. 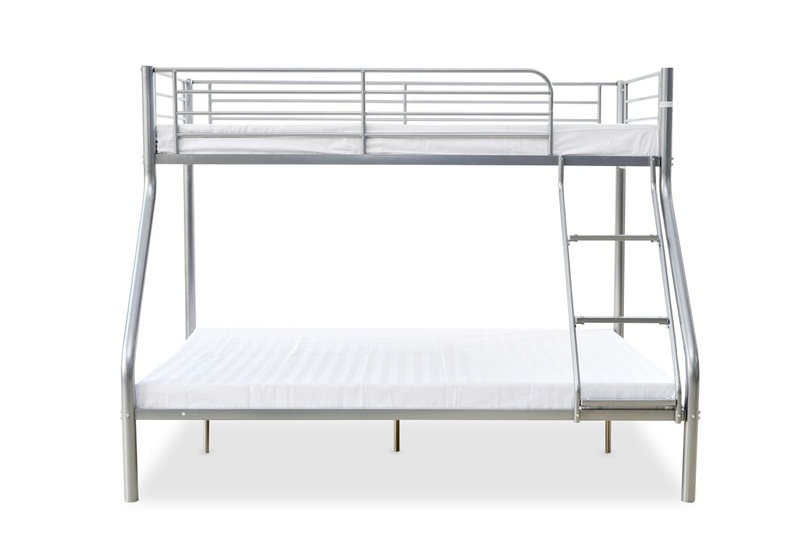 The Palmdale Bunk is ideal for growing families or just as an extra bed for when friends come to stay. 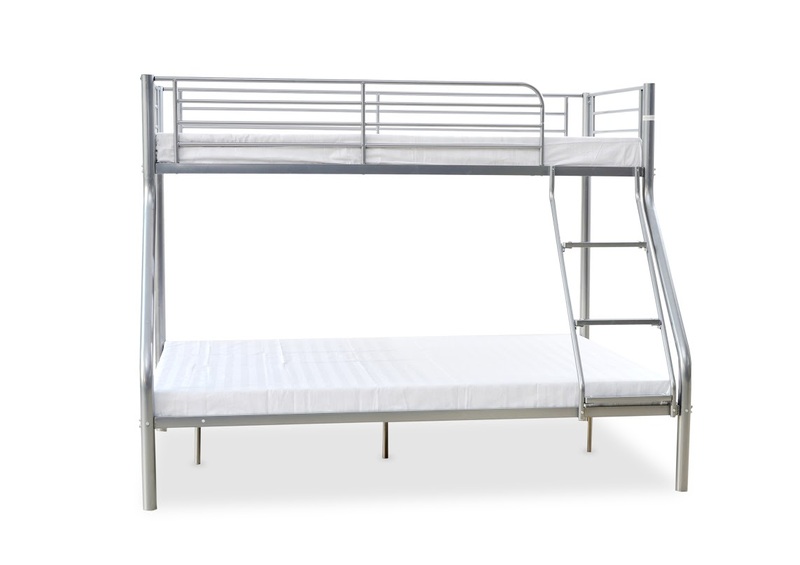 The internal structure of this product is made using tubular metal which allows it to be light weight though more importantly sturdy and strong.The bed bases are made from firm, durable mesh that will withstand even the most vigorous treatment from your kids. This mattress is ideal for those who are looking for the great benefits of open coil springs without the use of memory or reflex foam.